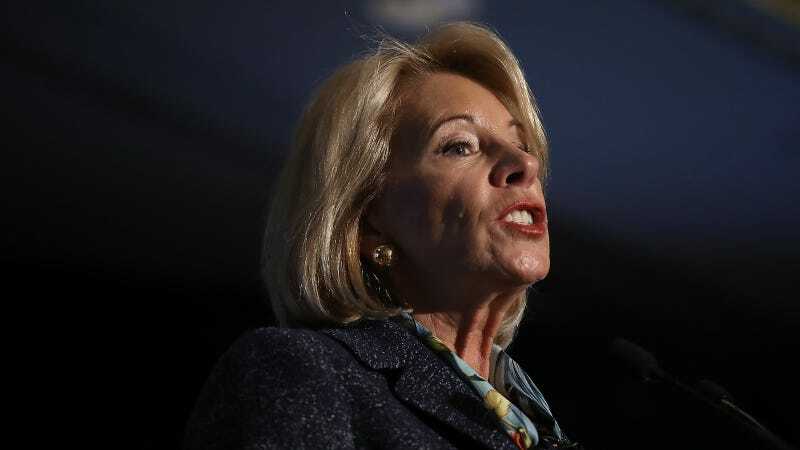 Education Secretary Betsy DeVos, a woman who supports arming teachers with guns and stripping protections for victims of sexual assault, also believes that schools should be able to decide whether or not to report undocumented students to Immigration and Customs Enforcement. This is what the Trump administration means by “school choice,” I guess. When Rep. Adriano Espaillat (D-N.Y.) asked DeVos whether faculty should report undocumented immigrants to federal authorities at the House Education and the Workforce Committee on Tuesday, DeVos essentially responded with a shrug. DeVos, who has very little understanding of the basic contours of what her job requires, also appears ignorant of the 1982 Supreme Court case that ruled that students have a right to a public school education regardless of immigration status.